I couldnt believe that I received this tree after only a few short days of ordering. Wow! Nice variety of plants, well packaged and in excellent shape, and they came promptly. 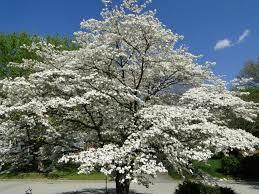 White Dogwood is a small, beautiful flowering tree that easily grows in zones 5 through 9. 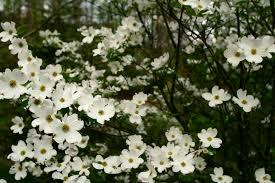 White Dogwood is a small, beautiful flowering tree that easily grows in zones 5 through 9. This tree makes an ornamental statement to any garden or yard, including public areas. Fragrant flower blooms are about 0.16 inches long, and simple oval leaves range from 2.4 inches to 5.1 inches in length. It prefers acidic soil and partial shade with full morning sun. 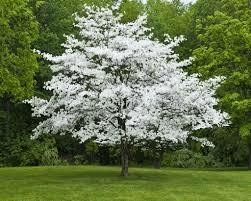 White Dogwood trees can grow upwards of 16 feet in as little as 10 years. Other names for this tree are the American Dogwood, Indian Arrowwood, false box, false boxwood, Florida Dogwood, and Cornelian tree. The White Dogwood Tree is beautiful no matter what the season is. These are favorites of homeowners and landscapers because they are amazingly easy to grow and they don’t need much maintenance at all. They are also quite beautiful any time of year. These trees will bloom in the spring months with gorgeous white flowers. Each blossom has four creamy white petals. These blooms last well into summer. The foliage is a beautiful shade of green which contrasts well with the flowers. In the autumn months, the foliage will turn amazing colors, and the flowers are replaced with glossy bright red berries that will attract many types of birds and other small wildlife. The White Dogwood trees make a beautiful statement when planted anywhere in the landscape and look especially lovely when grouped with pink or red dogwoods. Although they will grow in many different soil conditions, they prefer moist soil with some acidity and good drainage. In springtime, these trees can be spotted growing in the wild at the edge of woodland areas. They look lovely when planted along with azaleas in natural areas and are tolerant of pests, disease and drought conditions. These trees are quite beautiful and do not require much maintenance at all. The botanical name for these trees is Cornus Florida.